Dietary Carbohydrates: These are a major focus of my work has been on the role of dietary carbohydrates on appetite regulation, insulin resistances and lipid metabolism in particular the glycaemic index as a model of the physiological effects of carbohydrates. We were the first to demonstrate the impact of low glycaemic diets on adipocyte metabolism. More recently in partnership with Professor Jimmy Bell we have used an integrative physiological approach to investigating the role of dietary carbohydrates on body composition and appetite regulation. Short Chain Fatty Acids: These are produces of microbial fermentation of dietary carbohydrate in the gastrointestinal track. Our research program in partnership with the University of Glasgow has lead to the new understanding of the role for these molecules in appetite regulation. 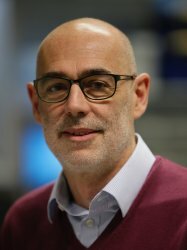 Obesity Management: My group is part of the section of Division Diabetes, Endocrinology and Metabolism which is headed by Professor Bloom where we have been part of the team that demonstrated the importance of a number of gut peptides in appetite regulation peptides in appetite regulation. We also have an on going project investigating the role of nutrients in the secretion of appetite regulating peptides and a major interest in the basic nutritional physiology involved in energy balance. Nutrition in the Elderly: My research group are interested in the relationship between food, the gastrointestinal tract and appetite regulation during aging. Over recent years we have demonstrated that anorexic hormones released from the gut higher than in young people.